Tania commenced Food I Am in September 2011, opening her amazing purpose-built facility overlooking Wagga Wagga in April 2014. Located in the heart of Australia’s food bowl, the Riverina, Food I Am is an exciting destination for all lovers of fine food. Part cooking school, part private dining & events venue, Food I Am allows visitors to either roll up their sleeves and learn from the best chefs in the country, or to sit back and relax while the expert team prepares a culinary delight. Tania has always had great experiences centred around food shared with family and friends. Tania simply wanted to offer country people the same experiences available in metropolitan areas and one day Tania thought why not? She had the support of industry and the time felt right. Tania was driven to highlight how great our regional produce really is. Bringing many top chefs to the Riverina to share their knowledge and techniques, Tania has also established Food I Am as the perfect setting for corporate team building events, product launches and weddings. 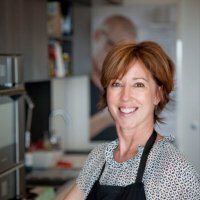 Combining her passion for food and travel Tania also hosts small group culinary food tours to countries like Italy, Spain and Vietnam.